Around the world and back again, we find ourselves in the beautiful city of Milan, Italy. It would be a sin for the contemporary interior of this stunning home to not be as fashionable as the area it rests in! The prominent architect Simone Micheli had a vision of a home that resulted in becoming a continuous representation of restoring the town of Lambrate. 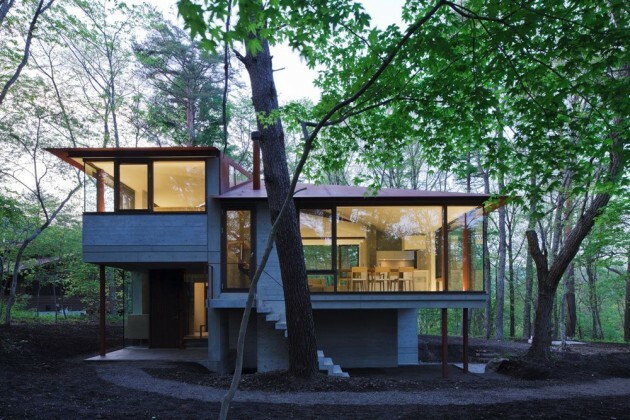 Also known as the Marco Balestri House, this home honors the freedom and functionality of truly living life. The contemporary interior featured in this house encourages as much open space as possible. Even though the main theme seems to be a pretty blank canvas, the various shapes that the furniture provides makes it a little more interesting. Pairing that with highlights of color skillfully placed in several rooms really brings just the right amount of vivid dimensional elements to complete the mod-retro look. The kitchen and dining room area are highlighted with neon green and purple accents that complement the texture of the waffle-designed dining chairs. The living room features red pillars that pull out the colors in the unique wall décor and animal print rug. 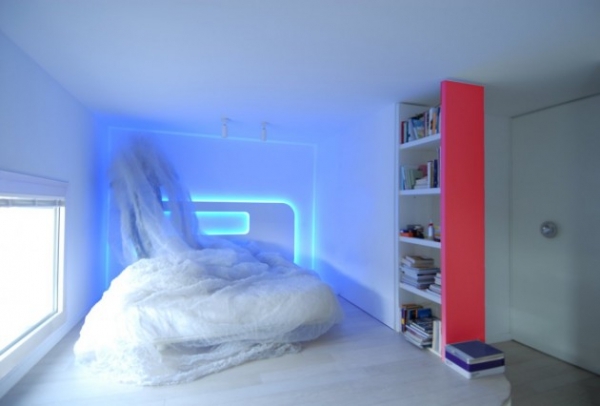 The bedroom is kept pretty ethereal with the addition of LED lights as a futuristic-styled headboard. The shapes, lines, angles and colors featured in the contemporary interior of this home are one of a kind! 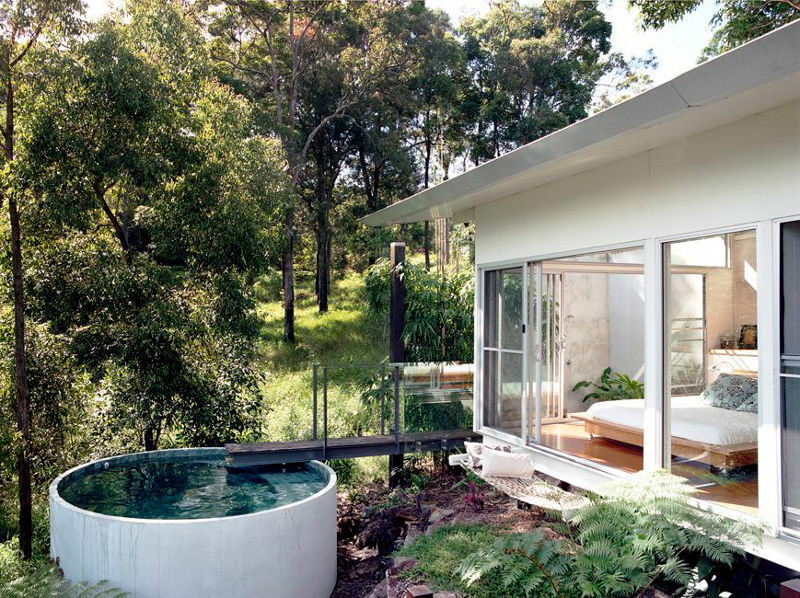 Enjoying a home that is free-flowing in every way certainly adds value to the quality of life!